Akin to the naturalist landscape painters were the realists, most prominently Gustave Courbet. Courbet and his followers preferred rural, agrarian subjects that typically conveyed a moral, political, or social message. Courbet developed these themes on a monumental scale. Honoré Daumier made his reputation with satirical political cartoons that were regularly published in Parisian journals. He then turned to lithography and finally to painting. His scenes of urban life have a simplified, fluid, and linear quality engendered by his experience as a printmaker. They often verge on the caricatural in their depiction of the different classes of society, ridiculing the newly prosperous bourgeoisie or presenting people from the lowest fringes of society with sympathy. Jean-François Millet, a leading master of the Barbizon school, also painted scenes of rural life that embody sympathy for the impoverished peasantry and the virtues of the simple rural life. 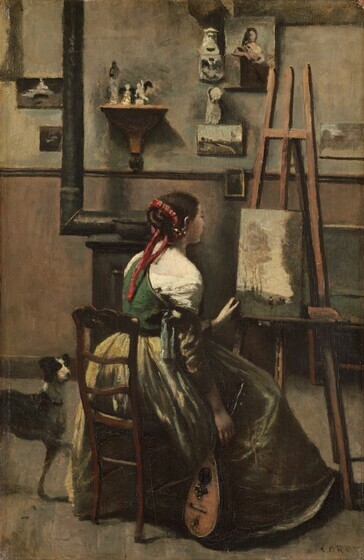 In addition to landscapes, Jean-Baptiste-Camille Corot is also important for his figure studies -- portraits of family and friends early in his career and, later, depictions of models in various settings and costumes. Never political in motivation, Corot's art is more often purely aesthetic. 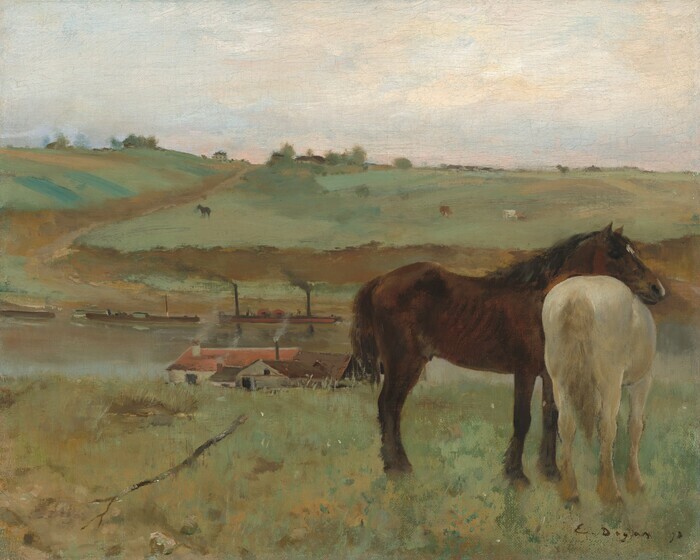 The influence of the work of the naturalist, Barbizon, and realist artists on younger, progressive artists in Paris in the 1860s gave impetus to the development of impressionism. The development of naturalism -- that is, the unidealized depictions of nature, usually scenes of rural life and countryside -- at the start of the nineteenth century was due in large measure to a reaction against the strictures of academic art and the excesses of romanticism. Commercially available paint sold in tubes was mass-produced by the 1830s, enabling artists to work outdoors with relative ease, and production of drawn and painted sketches outdoors became a component of artistic training. The purpose was to train the hand in response to what the eye saw, and such sketches also constituted a repertoire of varied backgrounds for history paintings. 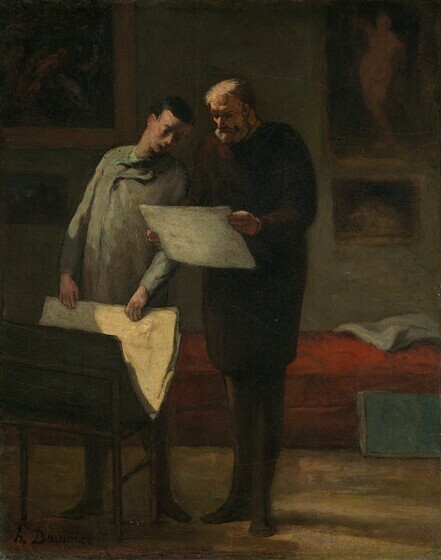 Some artists, however, valued the studies in their own right. 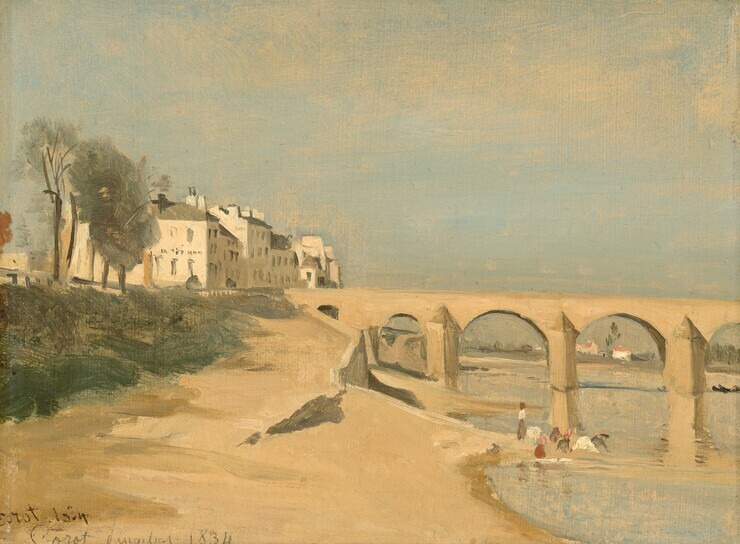 Jean-Baptiste-Camille Corot was one of the most influential of these artists. 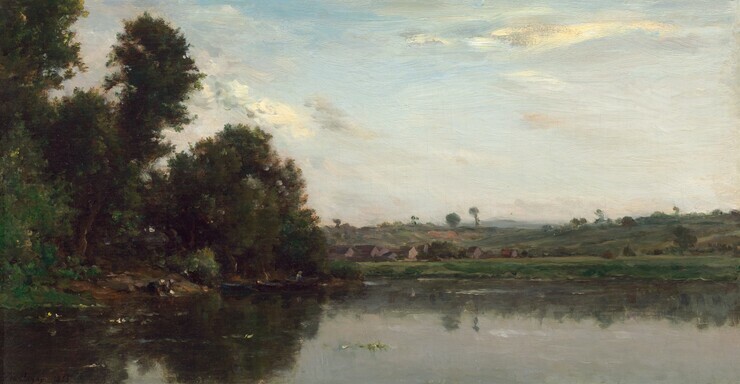 His earliest landscape sketches date from his student days in Italy in the 1820s, and by the 1860s, Corot was established as a leading exponent of landscape painting, often working in a naturalist vein. 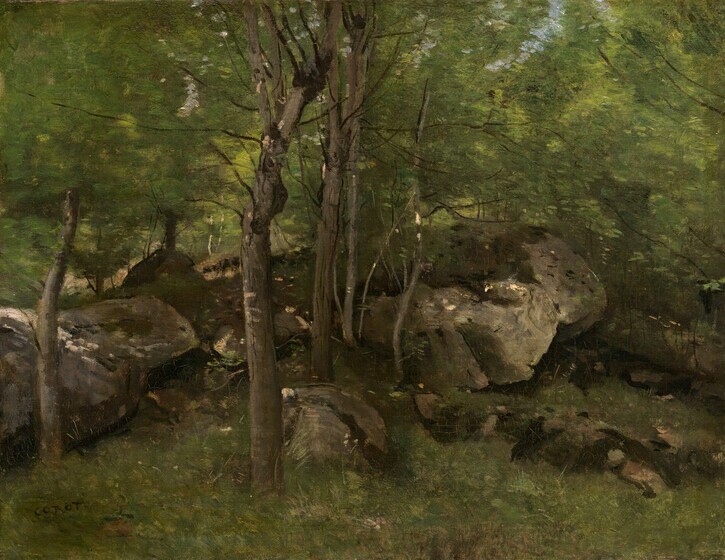 Corot was loosely affiliated with the Barbizon group, artists who lived and worked mid-century in the forest of Fontainebleau, in France, in and around the town of Barbizon. 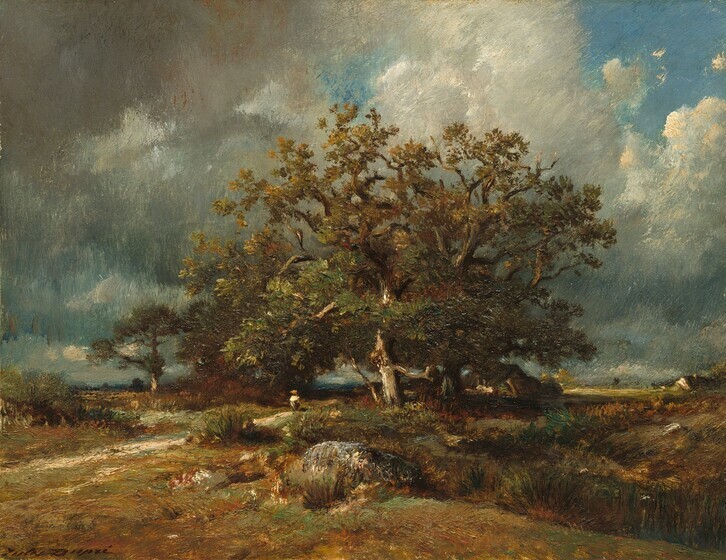 Leading Barbizon painters include Théodore Rousseau, Jean-François Millet, Narcisse Diaz de la Peña, Jules Dupré, and Constant Troyon. Most specialized in depictions of the rural terrain in the region and celebrated the virtues of peasant life. 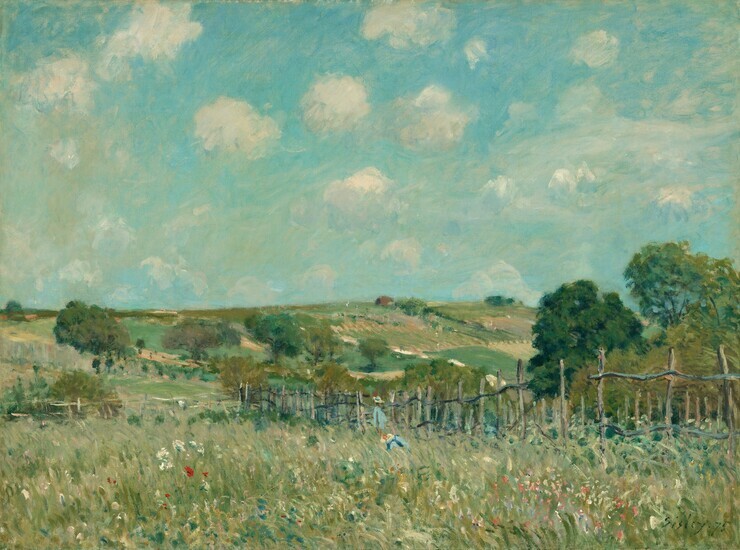 Future impressionists Claude Monet, Auguste Renoir, and Frédéric Bazille went together to paint near Barbizon in 1865, while Monet worked on a large composition of a family picnic, for which the National Gallery's Bazille and Camille is a study. 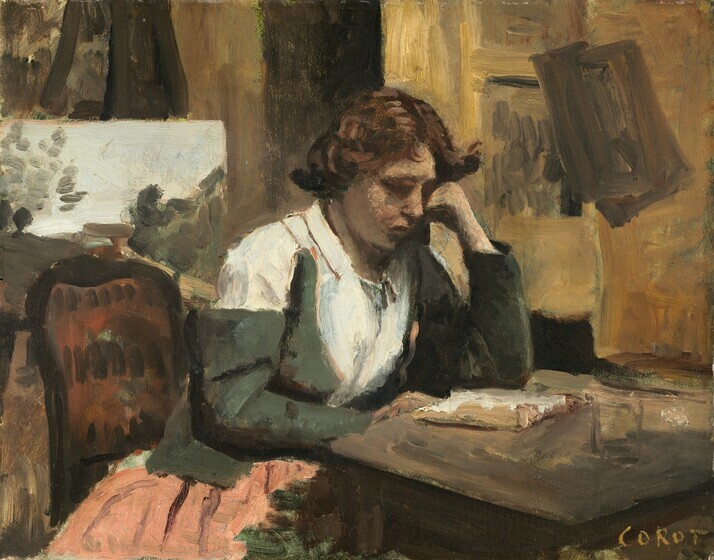 When Claude Monet, Auguste Renoir, Alfred Sisley, and Frédéric Bazille were students together in Charles Gleyre's studio in the early 1860s, the younger artists admired avant-garde masters including naturalist Jean-Baptiste-Camille Corot, realist Gustave Courbet, the Barbizon artists, and particularly Edouard Manet. 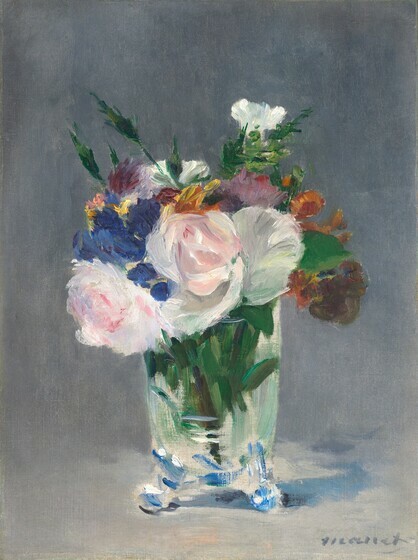 The dispassionate modernity of Manet's subjects, scenes of contemporary urban life, influenced the younger generation, as did his method of painting. He eschewed the smooth finish prescribed by traditional teaching and placed clearly visible brushmarks side by side as in a sketch, a technique that enhanced the immediacy of his pictures. 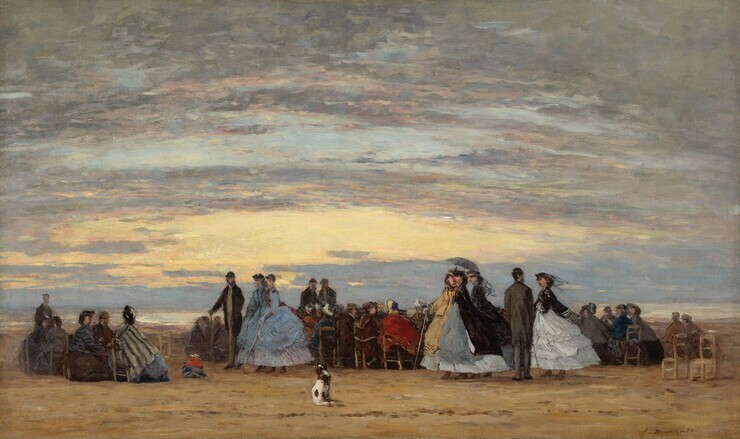 Eugéne Boudin specialized in small-scale oils depicting contemporary vacationers at the beaches of Normandy. Boudin made excursions along the coast to sketch the appearance of the sky and sea in open air, a practice he recommended to Claude Monet when the two met early in the 1860s. Monet, Renoir, Sisley, Bazille, Camille Pissarro, and Paul Cézanne painted outdoors in pairs and groups, experimenting with techniques and colors to capture their fleeting visual impressions of real people in natural daylight. 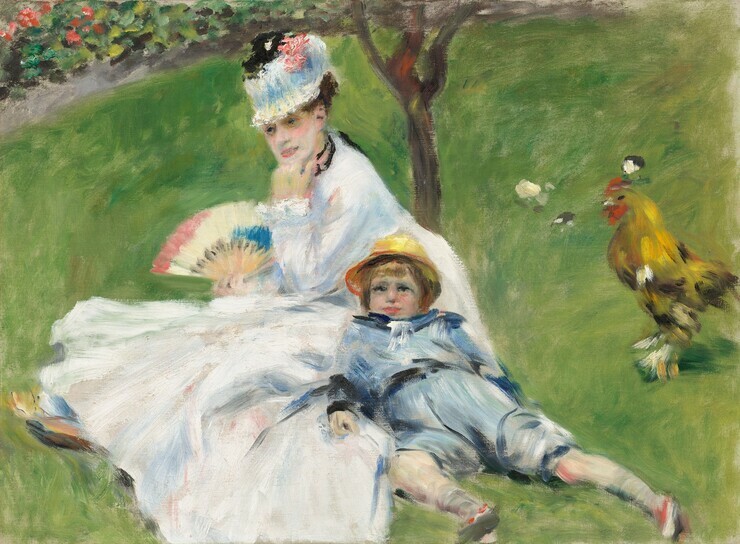 Monet and Renoir were painting together in the summer of 1869 at a small Seine-side resort called La Grenouillére, when they first worked in the free style recognizable as impressionism. They applied their paints unblended on the canvas using a variety of brushstrokes -- brief dashes, loops, broad strokes, color laid by color in bold combinations -- an organic and spontaneous style that perfectly suited subjects of the impressionists. 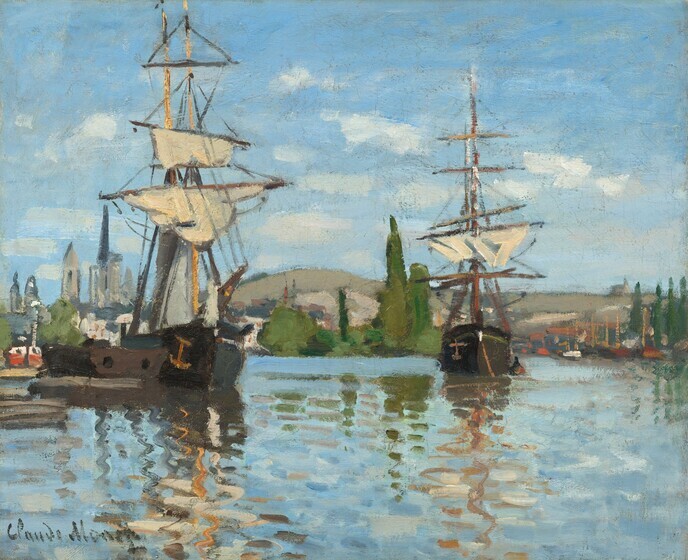 The impressionist movement arose in the early 1870s as a protest against established arts institutions in France, the Academy and its annual Salon exhibition. Exhibiting at the Salon was the only way for aspiring artists to succeed, yet the established artists who composed Salon juries rejected much of the work submitted by the impressionists. 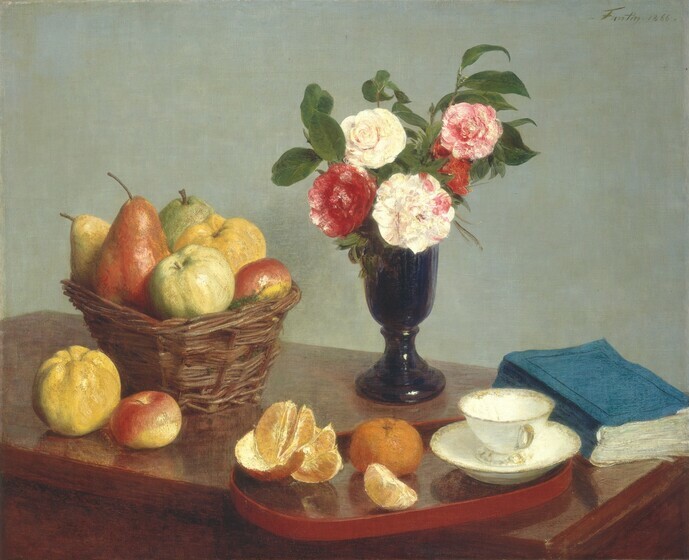 Frustrated, Claude Monet, Auguste Renoir, Alfred Sisley, Camille Pissarro, Paul Cézanne, Edgar Degas, Berthe Morisot, and others joined formally to raise funds to display and sell their work apart from the Salon. 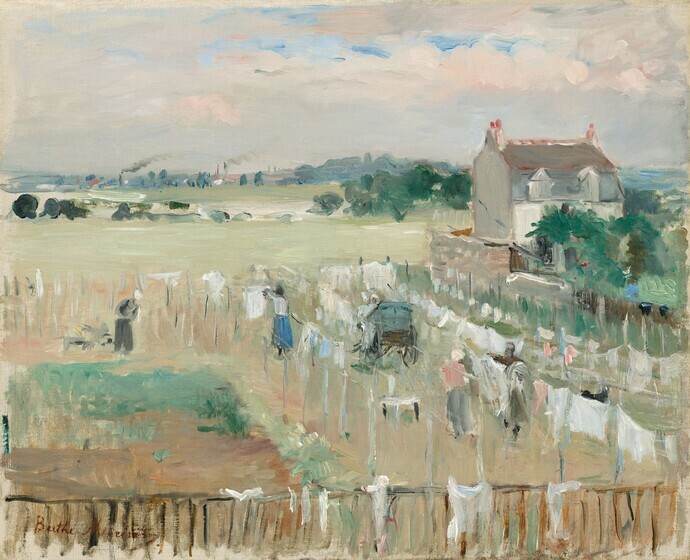 The most notable abstainer was Edouard Manet, who refused to abandon his pursuit of official recognition. 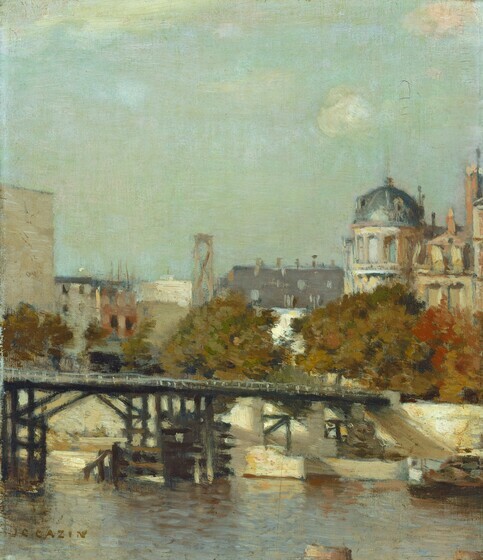 The first impressionist exhibition was held in rooms overlooking the Boulevard des Capucines in the heart of Paris, in April 1874, timed to coincide with the Salon. It created a furor, exciting heated debate among serious critics as well as in the popular, humorous press. In all, the group of artists mounted eight exhibitions, the last in 1886, then disbanded as they matured and became relatively successful. 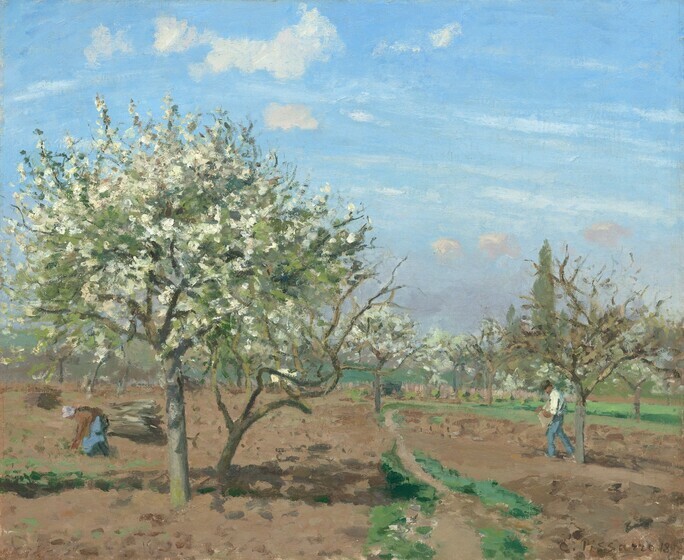 The National Gallery of Art has a number of works that were shown in those exhibitions, including Pissarro's Orchard in Bloom, Louveciennes and The Harbor at Lorient by Morisot. 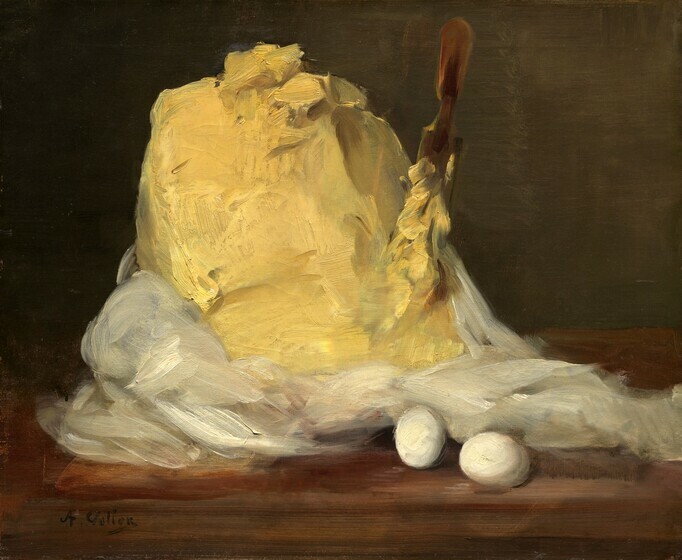 Some contemporaries of the impressionists took a less radical approach in their depictions of modern life. They admired aspects of impressionism, but in general preferred to remain safely within the aegis of the Academy and Salon. 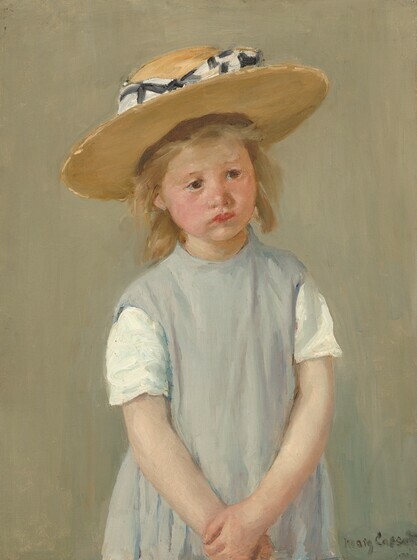 They mixed salient impressionist characteristics such as a brighter palette with traditional academic compositions and methods and avoided the radicalism and rhetoric associated with impressionism. 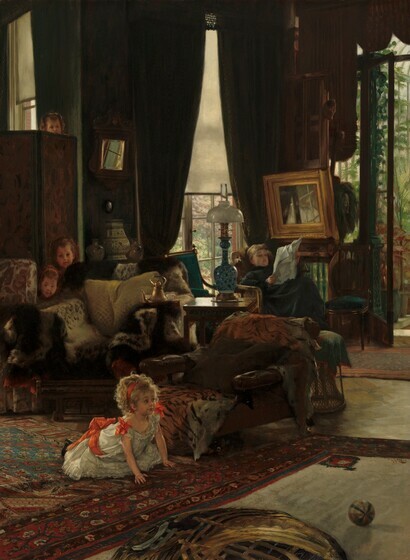 Henri Fantin-Latour's lush Still Life, Antoine Vollon's suave Mound of Butter, and the opulent clutter of James Jacques Joseph Tissot's highly-finished Hide and Seek are examples of this middle of the road approach. Postimpressionism is a catchall label that has been applied to a number of artists whose work had impressionism at its roots. 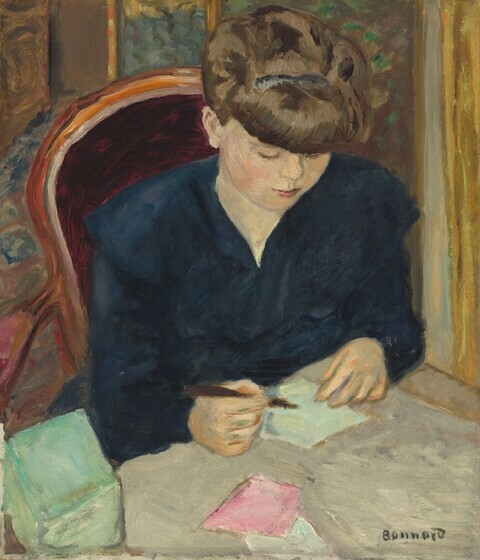 Many of these artists exhibited in the impressionist exhibitions, among them Paul Cézanne, Georges Seurat, and Paul Gauguin, but the postimpressionists gradually came to reject the impulse toward naturalism that had been a driving force behind impressionism. Cézanne replaced the irregularity of his impressionist brushwork with systematized notations that describe underlying form rather than momentary surface appearance. 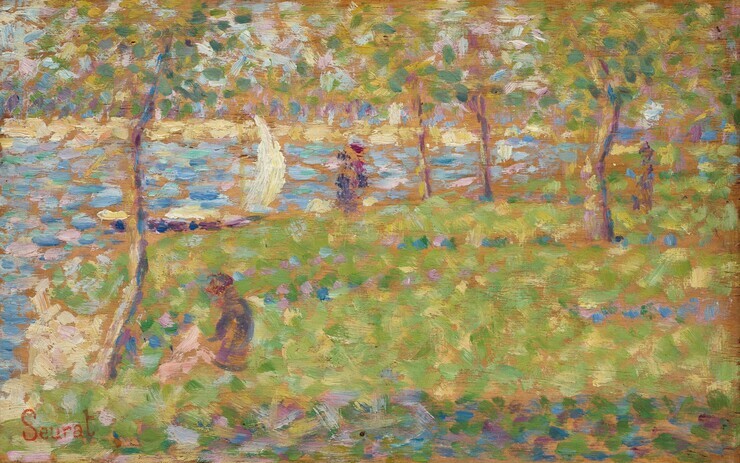 Seurat used a scientifically-based method of paint application (small touches of pigments in color sequences based on the latest theories of color and light) to explore the expressive qualities of the formal elements of painting. Similarly, Gauguin relied on the imaginative and evocative power of abstracted shapes and unmodulated color to express primitive and universal ideas. 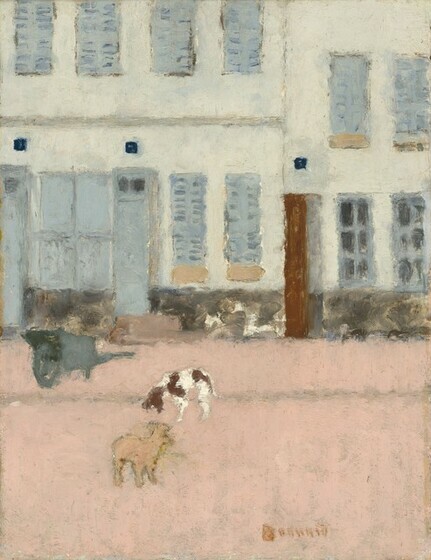 Pierre Bonnard and Édouard Vuillard were members of a group called the Nabis. Inspired by Gauguin, the Nabis insisted on the primacy of the physical existence of a painting -- paints arranged on a flat surface -- over the convention recognizing it as a re-creation of nature. 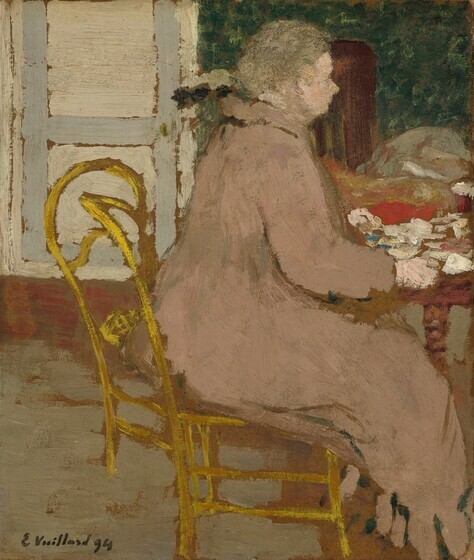 In particular Bonnard and Vuillard were known for their small-scale paintings, for using areas of unmodulated colors in close harmonies, and for their quiet intimacy.